Pitchers are always looking for any edge in their timeless battle against hitters. to get the upper-hand, so to speak, hurlers use a variety of different pitches. Learn more about the different pitches of baseball below. The four-seam fast is the most traditional fastball, and can be thrown harder than any other pitch. It is also the most natural of all overhand pitches, and the pitch most young pitchers first master. To grip a four-seam fastball, the index and the middle finger go directly on the perpendicular seam of the baseball. Then the thumb goes on the bottom of the baseball, resting comfortably in the middle of the horseshoe shaped part of the seams. When throwing the pitch there should be a small space between the ball and the palm. The pitcher should hold the ball like he is holding an egg — firm enough so he won’t drop it, but not too tightly. When thrown with a straight forward motion the ball should leave the thumb first, and the backspin created by all four seams stabilize the ball’s flight and maximizes its speed. The downside to a four-seam fastball is that the stabilizing backspin also makes it straight and potentially easier to hit than a ball with movement. Pitchers with great four-seam fastball: Clayton Kershaw, Justin Verlander, Matt Cain, Matt Harvey, Aroldis Chapman. While some pitchers can throw a two-seam fastball almost as hard as a four-seam fastball it is a pitch, when mastered, that can be effective at lower speeds than a four-seamer. To grip a two-seam fastball the pitcher places his thumb and index finger over the point at which the seams are closest together. The thumb is below, just touching the bottom near a seem. The pitch can be placed deep in the hand during delivery. Because the ball comes out of the hand with an off-center spin it will dip toward the right for right hand pitchers, and to the left for left handed pitchers. The two-seamer is a harder pitch to control than the four seamer, and it can result in the dreaded batting practice speed fastball if you don’t properly master it. It is unusual for a Major League pitcher not to have a two-seam fastball. 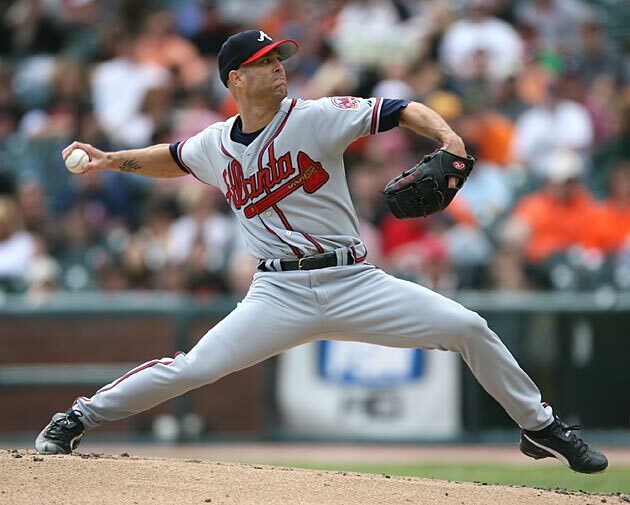 The break of the pitch is further determined by velocity, arm slot, and the pressure points of the fingers. Pitchers with great two-seam fastball: David Price, Greg Maddux, Felix Hernandez, Bartolo Calon, Tim Lincecum. A cutter, or cut fastball, is a hybrid of a four-seam fastball and a slider. Its grip is the same as a four-seam fastball but the pitcher sets the baseball off center in his hand upon delivery, which creates an eventually tail toward the pitcher’s glove side. A cutter typically comes out of a pitcher’s hand about 3 to 4 miles slower than a four-seam fastball would. However its late breaking movement makes it very difficult to make solid contact with — especially when paired with a traditional fastball. Because it breaks away from the pitcher’s arm it is a very effective pitch to use against opposite handed hitters — who generally have the upper hand during an at-bat. The cutter is the the pitch most like to induce soft contact and to to break the hitter’s bat. The cutter is a relatively new pitch and there are concerns on what its throwing motion will do for young arms, with some MLB franchises encouraging their minor leaguers to stay away from the pitch. However it is no doubt a great pitch for hurlers who might be getting a bit older and have lost a big of the velocity. Pitchers with great cutters: Mariano Rivera, Roy Halladay, Cliff Lee, Dan Haren, Andy Pettite. The forkball is gripped between the index and middle finger and held back toward the palm. It is thrown by snapping the wrist. Instead of having backspin, like most pitches, the forkball has a forward spin which cases it to tumble toward the plate as it crosses the strike zone. It had been a fairly popular pitch before the 80s but got pushed aside for the split-finger fastball, which is a forkall variation. Pirates relief pitcher Roy Face, who pitched in the ‘50s, was the first prominent pitcher to feature the forkball. Pitchers with great fork balls: Jack Morris, Sandy Koufax, Hideo Nomo, Jose Contreras. The split-finger fastball is a variation of the forkball. During the pitch the ball is balanced between the index and the middle finger. It isn’t held as far back to the palm as the forkball, and it doesn’t use as much wrist motion as the pitch it evolved from. The pitch was huge in the ‘80s — much like the cutter is now — with journeyman hurlers such as 1986 Cy Young Award winner Mike Scott becoming stars once they mastered the new pitch. When the split finger fastball is executed correctly it appears to be a fastball before suddenly dipping toward home plate. The split-finger grip also takes about 5 to 7 MPH off of the pitch. As such it can be essentially used as a change up. The split finger fastball isn’t as popular as it once was due to injury concerns. In fact very few starting pitchers still use it. Like the cutter, however, it’s a good pitch for a late in a hurler’s career when he has lost velocity. It is also a very effective when paired with a fastball for a two-pitch relief pitcher. Pitchers with great split finger fastballs: Jose Velerde, Jonathan Papelbon, Ubaldo Jiménez, Hiroki Kuroda, Ryan Dempster. The tilted backspin of a sinker drops it 3 to 6 inches more during its journey to the plate than gravity would sink four-seam fastball. When this extra dip is achieved the batter is more likely to make contact with the top half of the ball, which induces weak grounders. The downside to the sinker is that it can be hard to control and on days the pitcher’s mechanics are a bit off it produces a flat, very hittable fastball. Pitchers with great sinkers: Justin Masterson, Carlos Zambrano, Sonny Grey, Tim Hudson, Jake Westbrook. The most common way to throw a curveball is to hold the baseball like you would a glass of water, with the middle finger along the bottom seam, the thumb, pointed upward, along the back seam and the index finger resting above the middle finger. During the delivery of the curve ball the pitcher will snap the wrist and arm downward at the top of his arm’s arc. This creates a top spin which is the opposite of fastball’s backspin. The amount of break a curveball achieves has primarily to do with how hard the pitcher snaps the wrist and arm. A traditional curveball is thrown completely overhand and features a “12 to 6” break. It is among the slowest pitches, and can be effective at the Major League level at speeds as low as 70 mph. Tests have suggested a curveball does curve and is not an optical illusion, as was once widely thought. However there is also evidence to suggest the break of a curve ball is exaggerated by how the eyes shift from normal vision to peripheral vision on a ball with front spin. It is not recommended children throw curveballs, because of the strain it puts on their arm. Pitchers with great curveballs: Adam Wainwright, Barry Zito, Bronson Arroyo, Doc Gooden, Bob Feller. The knuckle curveball is a variation of the curve ball. The difference is in the grip, with the index finger tucked back, so the knuckle is facing the batter, but the middle finger still straight along the ball. A knuckle curve is also called a spike curve. The knuckle curve behaves very similarly to the traditional curve ball. However those who use it would argue it gives them a little extra break and little more control. 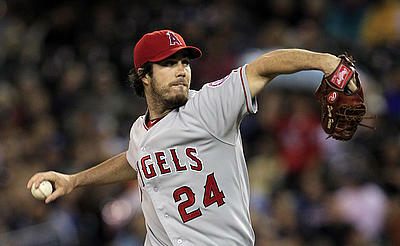 Pitchers with great knuckle curveballs: Mike Mussina, A.J Burnett, Cliff Lee, Brandon Morrow, Phil Hughes. The slider is a pitch right between a fastball and breaking pitches in terms of both speed and break. It is gripped in the same way as a two-seam fastball. The difference is when thrown the pitch comes off of the thumb side of the hurler’s index fingers, rather than from the index and middle fingers. The is no downward arm or wrist snap like there would be on a pure breaking pitch. Ted Williams once said the slider is the hardest pitch to hit in all of baseball. If executed correctly, the pitch appears as a fastball out of the hand, but then fools the batter with a break downwards and across the plot. A properly executed and placed slider can seem like it is unhittable, especially when paired with good fastball. Tall pitchers tend to get better results with a slider than shorter ones. Pitchers with great sliders: CC Sabathia, Clayton Kershaw, Francisco Liriano, Joe Nathan, Brad Lidge. In many ways, the screwball is the opposite of curveball. To throw it, the pitcher uses the curveball grip. He begins by mimicking the delivery of a fastball. But the key is pronating the wrist the opposite direction as you would with a curveball (counterclockwise for a righthanded pitcher), which will ultimately make the pitcher break back toward the pitcher’s throwing hand. The pitch is released with the same arm snap of a curveball. Because of the opposite break, the screwball is particularly effective against different handed hitters and ties them up similar to how a slider does to same handed pitchers. The perception is that a screwball is bad for a pitcher’s arm, which is why it isn’t a more popular pitch. However research suggests it’s not really any harder on the arm than other breaking pitches. Some pitchers, like Pedro Martinez, use a screwball as a change up to opposite handed pitchers. Pitcher’s with great curveballs: Carl Hubbell, Fernando Valenzuela, Warren Spahn, Mike Cuellar, Tom Browning. The key to a change up is disguising it to look like a fastball. Then when it arrives at the plate 10 to 15 MPH slower than the speedball the hitter will swing way out in front of it. Meaning if the batter doesn’t miss it completely he will foul it off or hit a weak grounder The lower velocity of change up comes from its grip. The straightchange grip has had all three middle fingers on top of the ball, instead of two like a fastball, and is held closer to the palm. The increased pressure, on the ball slows it at the release point. The straight change, and its cousin the circle change have become increasingly popular over the last couple decades. While a change up is best paired with an above average fastball some relief pitchers, such as Trevor Hoffman, can get away with it as their primary pitch. Pitchers with great straight change ups: Hoffman, Max Scherzer, Felix Hernandez, Ervin Santana, Pedro Martinez, Stephen Strasburg. The principal of the circle change is the same as the straight change. The grip is slightly different, with the thumb and the index finger touching, creating the “circle.” The circle change can be a devastating pitch, as when executed properly it creates an almost screwball effect, swinging in toward different handed batters. However when it is left high in the zone the circle change is very hittable and should only be used by a pitcher who has mastered the pitch. The pitch came into prominence during the eighties, thanks to Jon Franco and Charlie Leibrandt. The palm ball is another variation of the change up. It rarely used on the Major League level these days, but had been a very effective pitch for some of the best pitchers of yesterday. The palm ball grip has all four fingers on the top half of the ball and the ball set deep in the pall. The ball centered between the ring and index finger. Roy Halladay was probably the last prominent pitcher to use it, but he no longer features it. Pitchers with great palm balls: Jim Palmer, Satchel Paige, Jim Konstanty, Trevor Hoffman, Ray Culp. The grip of a vulcan change is similar to a forkball. But instead of the ball resting between the index and middle finger it goes between the middle and the ring fingers, creating what looks like a star trek Vulcan symbol. The pitch is thrown at fastball arm speed, but the nature of the grip shaves off MPH and also give it a downward motion. It is a fairly rare pitch in Major League Baseball, but has been quite effective for certain pitchers. The knuckleball is baseball’s most mysterious pitch. While all the other pitches use spin for their effectiveness it is the knuckleballs lack of spin that makes so perplexing. 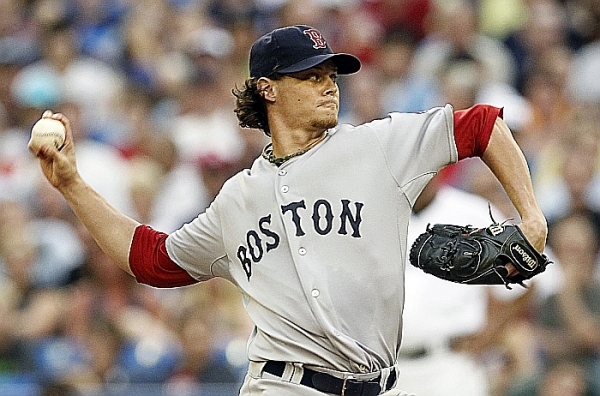 Most major league knuckleballer actually use their fingernails and fingertips to grip the pitch. There are many ways to do this, but they generally involve placing between two and four of the finger (tips) right up against the horseshoe seam of the baseball. The pitcher is then delivered like a fastball. Without spin (or actually, knuckleballs are most effective if there is a very slight amount of spin) the knuckleball is profoundly affected by the difference in airflow over the smooth part of the ball and the ball’s seams. This creates a fluttering effect which is somewhat of optical illusion because the eyes will exaggerate any seemingly random moves an object makes while moving through the air. While a knuckleball can be extremely hard to hit, if thrown properly, it is also a very difficult pitch to catch and it is difficult for the umpire to rule on, because it appears to flutter about the strike zoen. It is also a difficult pitch to master, and for all these reasons only about 75 pitchers in Major League history have regularly thrown the knuckleball. Since the knuckleball is easy on the arm and doesn’t require great velocity some knuckleballers have been effective well into their 40s. Pitchers with great knuckleballs: R.A Dickey, Tim Wakefield, Tom Candiotti, Hoyt Wilhelm, Phil Niekro. The gyroball is the only pitch developed in a computer lab. The pitch was first identified Ryutaro Himeno and then developed, with the help of computer simulations, by coach Kazushi Tezuka. The gyroball is thrown with a spiral-like forward spin — think a quarterback throwing a football or a speeding bullet. The grip is the same as a fastball, and the pitch is delivered somewhat like a screwball but instead of the ball spinning off the middle finger it spins off the index finger. To properly execute and achieve the the bullet like action the hips and shoulders need to be aligned in a certain way with just about no margin to error. This makes it an extraordinarily difficult pitch to master. What makes it a difficult pitch to hit is that it can be delivered like a fastball, but it comes at lesser speed. Then, since the unique spin obscures the seams of the ball from the batter’s view, it’s almost impossible for the hitter to realize the pitch isn’t a fastball until its too late. The gyroball is to be used as a strikeout pitch after a succession of other pitches. All of the pitchers who have mastered the gyroball play in Japan. Japanese import Daisuke Matsui and Angels pitcher CJ Wilson claim they can execute the pitch, but both concede they don’t have enough control over it to use it regularly, if it all. 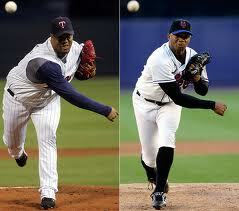 Some suggest Pedro Martinez and Roger Clemens may have developed gyroballs organically. The Eephus pitch is trick pitch designed to fool the batter. It is basically just a pitch with a slow-pitch softball type arch that approaches the plate at speeds as low as 40 MPH. Rip Sewell “invented” the pitch and he rode it to four straight All-Stars games between 1943 and 1946. (Ted Williams was the only man to ever hit a homer against Sewell’s Eephus, doing so in the 1946 All-Star Game.) While other pitchers have utilized the Eephus nobody has ever used it as regularly as Sewell. Pitcher who had good eephus pitches: Rip Sewell, Bill Lee, Pascual Perez, Dave LaRoche, Orlando Hernandez.